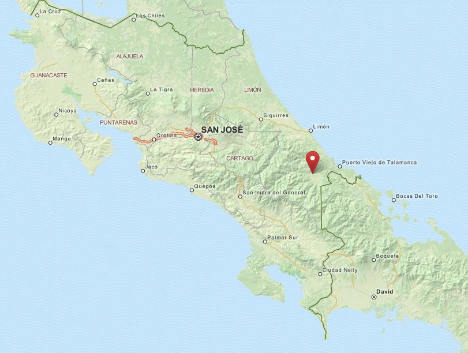 BriBri communities are rejecting a new government proposal to permit U.S. military incursions onto their lands in the remote area of Alto Telire in the county of Talamanca, Costa Rica. Last month, the mayor of Talamanca, Melvin Gerardo Cordero, requested permission from Costa Rican President Laura Chinchilla to esablish a “humanitarian bridge” that would rely on Southern Command (SOUTHCOM), the arm of the U.S. Department of Defense responsible for all U.S. military activities throughout Central and South America and the Caribbean. According to the proposal, SOUTHCOM would allegedly act in a humanitarian capacity by providing various government institutions with a direct line to the communities in order to alleviate extreme poverty in Alto Telire. SOUTHCOM does offer standard humanitarian assistance and disaster relief programs within the countries it operates; however, as far as the communities are concerned, that is besides the point. As the proposal currently stands, U.S. troops would be entering and moving throughout Bribri lands without prior consultation or consent. In addition to offering humanitarian assistance, SOUTHCOM is in charge of all surveillance and counter-narcotics operations in Latin America as well as the militarization of the Panama Canal. In a recent interview with Radio Ceiba, Bribri leader Leonardo Buitrago condemned the proposal, arguing that such an action would threaten public safety and serve to militarize Bribri territory. Buitrago went on to express grave concern that SOUTHCOM has helped to dispossess Indigenous Peoples of their lands in other countries. Alto Tilere has made numerous headlines in the past. Just two decades ago, the communities we almost consumed by violence after Mexican and Colombian drug cartels began operating in the region. “Ambushes, murder and disappearances were common [back then]”, notes Tico Times. “In 1992, authorities began to respond to the bloodshed, and in time they were able to scale it back”. These days, there is nowhere near as much violence in Alto Tilere; however, drug cartels are apparently continuing to operate in the area.